Next seeks to aid you in reaching and achieving your goals, whatever they might be. It’s a to-do list/personal assistant/planner/reminder app all rolled into one. It contains a complex mathematical algorithm that helps you in finding the best way to achieve your goals. 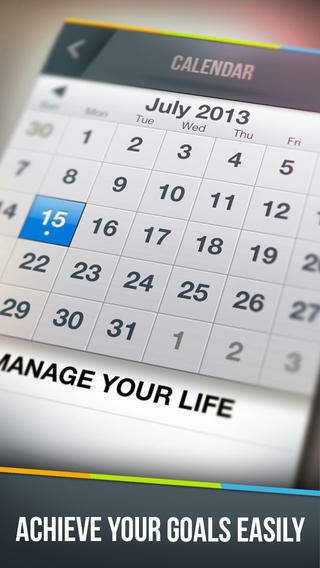 It will give you the ability to manage your time so that you’re continually staying on track. It boasts multiple methods for analysis, such as a prioritization method (A-B-C rule), and the pareto method (80-20 rule). It all comes wrapped in an easy to navigate interface that’s designed quite well, so give it a shot and see if it can help. via Best Free Apps of the Day on 9/16. Next, Where do Zombies Come From?, Hidden Wonders of the Depths, & More! | App Chronicles. Whisk 1 1/4 cups all-purpose flour and 12 ounces club soda; season with kosher salt. Pour vegetable oil into a large heavy pot to a depth of 2 inches; heat over medium-high heat until a deep-fry thermometer registers 375°. Working in batches, coat 1/2 pound trimmed green beans in batter; fry until golden, about 3 minutes per batch. Transfer to paper towels and season with salt. 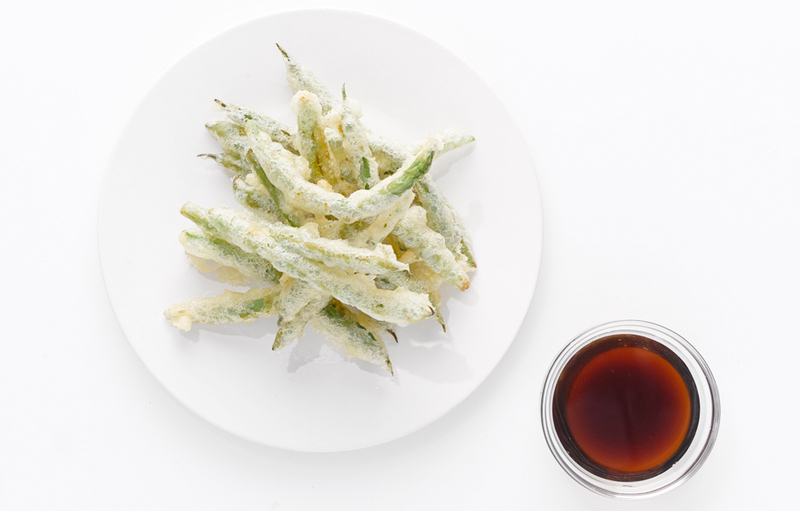 via Green Bean Tempura – Bon Appétit. Can you mix antibiotics and alcohol? 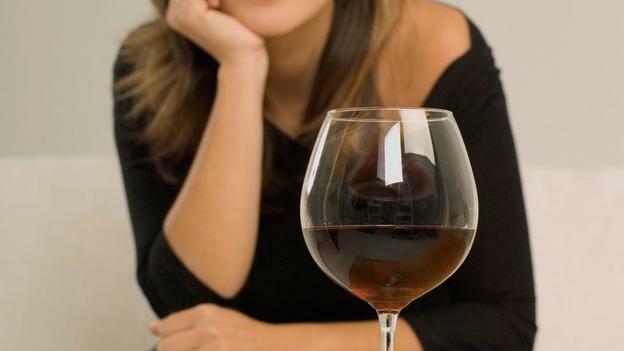 Studies show booze won’t stop most treatments from working properly or cause unpleasant side-effects. However, the story isn’t quite that simple. Women who are in the early stages of pregnancy, and who are not ready to share the happy news, know that turning down an alcoholic drink at a social occasion can be a dead giveaway. Telling friends and colleagues they are on antibiotics is the perfect excuse because they are so commonly used. Even the nosiest of acquaintances is unlikely to ask what they are being taken for. But is it really true that you need to abstain from alcohol when on a course of antibiotics? Some people assume that alcohol will stop antibiotics from working properly, while others believe that it will cause side-effects. When staff in a London genitourinary clinic surveyed more than 300 patients they found that 81% believed the former assumption, with 71% believing the latter. For most antibiotics neither of these assumptions is true. The fear for doctors is that these erroneous beliefs might make patients skip their medication over a glass of wine. Anything that encourages people to miss doses of antibiotics adds to the serious problem of antibiotic resistance. In fact, the majority of the most commonly prescribed antibiotics are not affected by alcohol. There are some exceptions. The antibiotics cephalosporin cefotetan and cephalosporin ceftriaxone slow alcohol breakdown, leading to a rise in levels of a substance called acetaldehyde. This can cause a host of unpleasant symptoms including nausea, vomiting, facial flushing, headache, breathlessness and chest pain. Similar symptoms are caused by a drug called disulfiram, sometimes used in the treatment for alcohol dependency. The idea is that the moment a patient has a drink, they experience these unpleasant symptoms, and this dissuades them from drinking more. The symptoms are unpleasant, so it is important that people abstain from alcohol while they’re taking these particular antibiotics, and for a few days afterwards. Another type of antibiotic that comes with a specific warning not to take alongside alcohol is metronidazole. Used to treat dental infections, infected leg ulcers and pressure sores, it’s thought to cause the same list of symptoms as the previously mentioned cephalosporins. This link has been disputed since a 2003 review of studies found a lack of evidence to support it, and a very small controlled study in which Finnish men given metronidazole for five days suffered no side effects when they consumed alcohol. The authors concede that this doesn’t rule out the possibility that a few individuals are affected, and the current advice is still to avoid alcohol when taking it. There are a few other antibiotics for which there are good reasons to avoid drinking alcohol while taking them, including tinidazole, linezolid and erythromycin, but these interactions are so well-known that doctors give patients specific warnings. This leaves a long list of other antibiotics that can be mixed with alcohol. Of course getting drunk is not going to help your recovery when you’re ill. It can make you tired and dehydrated, but it’s not because of any interaction with your medication. It’s possible that the isolated cases led to the myth that all antibiotics don’t mix with alcoholic drinks, but there are two more intriguing theories. One is that because antibiotics are used to treat some of the most common sexually transmitted diseases, doctors in the past were somehow punishing the patients for becoming infected by depriving them of their favourite tipple. Or there’s the explanation given to one of the authors of the London genitourinary clinic survey. James Bingham met the late Brigadier Sir Ian Fraser, who introduced the use of penicillin for injured soldiers in North Africa during World War II. At the time penicillin was in such short supply that after a patient had taken it, the drug was retrieved from his urine and recycled. Recuperating soldiers were allowed to drink beer, but unfortunately this increased the volume of their urine, making it harder obtain the penicillin and, according to the Brigadier, led commanding officers to ban beer. It’s a good story, irrespective of whether or not it is the true source of the popular misconception. Dispelling the myth is something of a double-edged sword. Encouraging those on the antibiotics who cannot resist a glass or two to complete their courses of treatment could help counter the spread of antibiotic resistance. However greater public understanding of the true picture may mean that women wanting to keep their early pregnancies to themselves in social situations may have to be a little more inventive in future. 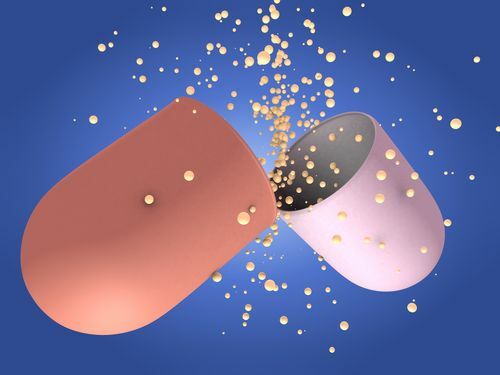 via BBC – Future – Health – Can you mix antibiotics and alcohol?. The “chemical chatter” that determines whether an embryo can implant in the womb has been detailed by scientists. A study at the University of Southampton has shown the amount of a chemical, trypsin, helps determine whether an embryo implants. “A lot of embryos have chromosomal abnormalities so there must be a mechanism to stop a pregnancy,” fertility scientist Prof Nick Macklon told the BBC. Research to be presented at the Reproductive Biology conference at the University of Southampton shows chemicals given off by an early-stage embryo give the endometrium clues. Trypsin seem to be critical. If the chemical is at the right level, then it changes the nature of womb to make it more inclined to accept the embryo. But if the levels are out, then the lining becomes stressed and less likely to accept. Prof Macklon said: “With a good embryo then the good response is turned up to allow implantation, if there’s a bad embryo then the endometrium responds to reject the embryo. 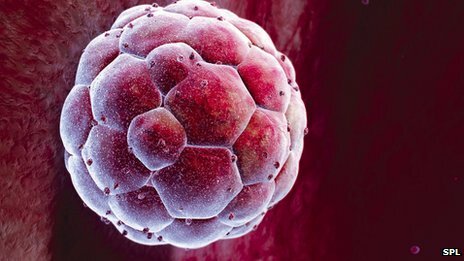 He said large numbers of couple had fertility problems and that he hoped breakthroughs in understanding how an embryo implanted successfully could improve the odds in IVF. Monitoring the signals given off by an embryo could help choose which ones to implant during IVF, although this idea has not yet been tested. It could also help to explain recurrent miscarriage, which in some cases has been linked to women being “super-fertile” and accepting embryos that should be rejected. However, research will have to progress carefully as forcing a poor quality embryo to implant would lead to serious problems. Prof Siobhan Quenby, who is also a spokeswoman for the Royal College of Obstetricians and Gynaecologists, said: “It’s a really exciting mechanism, but the challenge is turning it into a treatment, I lie in bed at night thinking about how you would turn this into a treatment. via BBC News – Embryo ‘chatter’ clues to fertility. Miniature human organs developed with a modified 3D printer are being used to test new vaccines in a lab in the US. 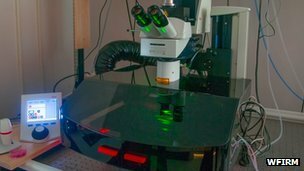 The “body on a chip” project replicates human cells to print structures which mimic the functions of the heart, liver, lung and blood vessels. The organs are then placed on a microchip and connected with a blood substitute, allowing scientists to closely monitor specific treatments. The US Department of Defense has backed the new technology with $24m (£15m). Bioprinting, a form of 3D printing which, in effect, creates human tissue, is not new. Nor is the idea of culturing 3D human tissue on a microchip. But the tests being carried out at the Wake Forest Institute for Regenerative Medicine in North Carolina are the first to combine several organs on the same device, which then model the human response to chemical toxins or biologic agents. 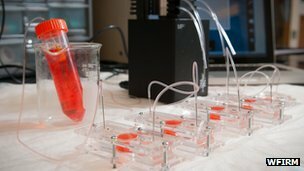 The modified 3D printers, developed at Wake Forest, print human cells in hydrogel-based scaffolds. The lab-engineered organs are then placed on a 2in (5cm) chip and linked together with a circulating blood substitute, similar to the type used in trauma surgery. The blood substitute keeps the cells alive and can be used to introduce chemical or biologic agents, as well as potential therapies, into the system. Sensors which measure real-time temperature, oxygen levels, pH and other factors feed back information on how the organs react and – crucially – how they interact with each other. Dr Anthony Atala, institute director at Wake Forest and lead investigator on the project, said the technology would be used both to “predict the effects of chemical and biologic agents and to test the effectiveness of potential treatments”. “You are actually testing human tissue,” he explained. A group of experts from around the US is involved in putting together the technology, which will carry out toxicity testing and identification. The funding for the project was awarded by the Defense Threat Reduction Agency (DTRA), a division of the US government which combats nuclear, chemical and biological weapons. The tests being carried out at Wake Forest “would significantly decrease the time and cost needed to develop medical countermeasures” for bioterrorism attacks, said Dr Clint Florence, acting branch chief of vaccines within the Translational Medical Division at DTRA. Wake Forest said it was able to test for antidotes to sarin gas, recently used against civilians in Syria. Dr Atala, whose field is regenerative medicine, said the bioprinting technology was first used at Wake Forest for building tissues and organs for replacement in patients. His team had managed to replicate flat organs, such as skin, tubular organs such as blood vessels, and even hollow non-tubular organs like the bladder and the stomach, which have more complex structures and functions. But building solid organs like the heart and the liver is the hardest challenge yet. It takes about 30 minutes just to print a miniature kidney or heart, which is the size of a small biscuit. “There are so many cells per centimetre that making a big organ is quite complex,” Dr Atala told the BBC. But the bioprinting of full size solid organs might not be far away. “We are working on creating solid organ implants,” said Dr Atala. Bioink containing various types of cell is printed into moulds made from agarose gel. 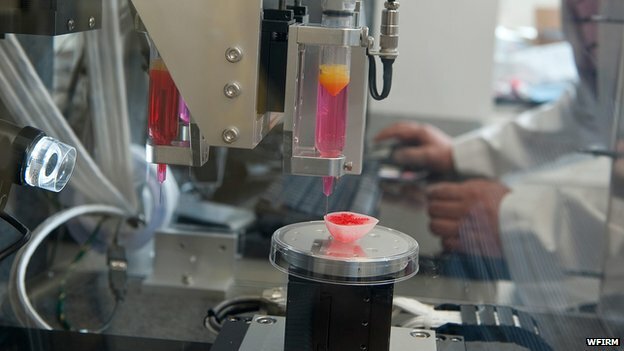 via BBC News – ‘Body on a chip’ uses 3D printed organs to test vaccines. Moving in time to a steady beat is closely linked to better language skills, a study suggests. People who performed better on rhythmic tests also showed enhanced neural responses to speech sounds. The researchers suggest that practising music could improve other skills, particularly speech. 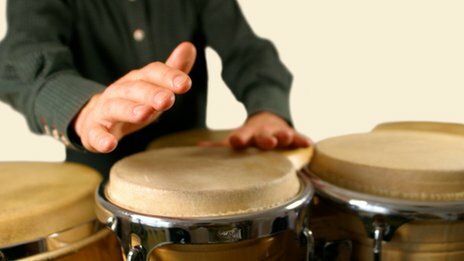 In the Journal of Neuroscience, the authors argue that rhythm is an integral part of language. “We know that moving to a steady beat is a fundamental skill not only for music performance but one that has been linked to language skills,” said Nina Kraus, of the Auditory Neuroscience Laboratory at Northwestern University in Illinois. More than 100 teenagers were asked to tap their fingers along to a beat. Their accuracy was measured by how closely their responses matched the timing of a metronome. 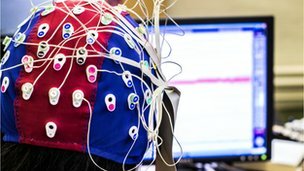 Next, in order to understand the biological basis of rhythmic ability, the team also measured the brainwaves of their participants with electrodes, a technique called electroencephalography. This was to observe the electrical activity in the brain in response to sound. Using this biological approach, the researchers found that those who had better musical training also had enhanced neural responses to speech sounds. In poorer readers this response was diminished. “It turns out that kids who are poor readers have a lot of difficulty doing this motor task and following the beat. In both speech and music, rhythm provides a temporal map with signposts to the most likely locations of meaningful input,” Prof Kraus told BBC News. The brainwaves recorded matched the soundwaves, she said. “You can even take the recorded brainwave and play it back through your speaker and it will sound like the soundwave. “It seems that the same ingredients that are important for reading are strengthened with musical experience. Musicians have highly consistent auditory-neural responses. John Iversen of the University of California in San Diego studies how the brain processes music. He was not involved with the research but agreed that musical training could have important impacts on the brain. “This study adds another piece to the puzzle in the emerging story suggesting that musical-rhythmic abilities are correlated with improved performance in non-music areas, particularly language,” he said. via BBC News – Moving to the rhythm ‘can help language skills’. via 慎用口服抗黴菌藥物　小心肝腎出問題 – 新聞快訊 – 健康醫療網-健康,醫藥,美容,養生,保健即時資訊分享.